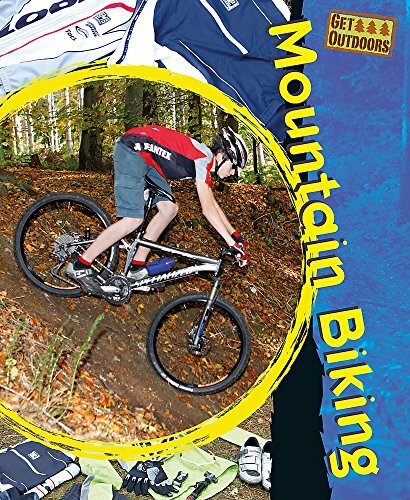 Amazon.com description: Product Description: Packed with information for children aged 9-11 on mountain bike set-up, equipment, skills and techniques, trails and competitions. Filled with thrilling action-packed photographs, it guides through the process of buying a first bike, explains how to ride efficiently and shows how to progress to the next level. About: Packed with information for children aged 9-11 on mountain bike set-up, equipment, skills and techniques, trails and competitions. About: Every aspect of mountain biking is covered in this adventurous volume. About: Explores mountain biking, provides tips for pre-ride checks and purchasing a bicycle, and discusses appropriate clothing and accessories for riding. About: Discusses mountain biking and its origins, hardtail and full-suspension bikes, freeriding, downhill, clothing, techniques, competition, and safety.